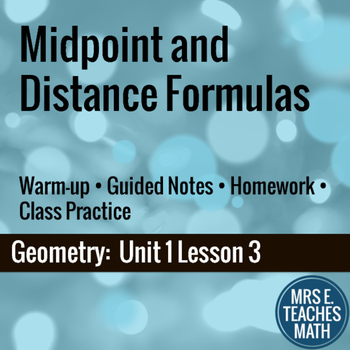 I know it's crazy, but I love teaching the distance and midpoint formulas in Geometry. They're largely procedural, and the kids hate them, but for some reason, I like it. Also, this is the first lesson of the year where my kids finally see my crazy side. 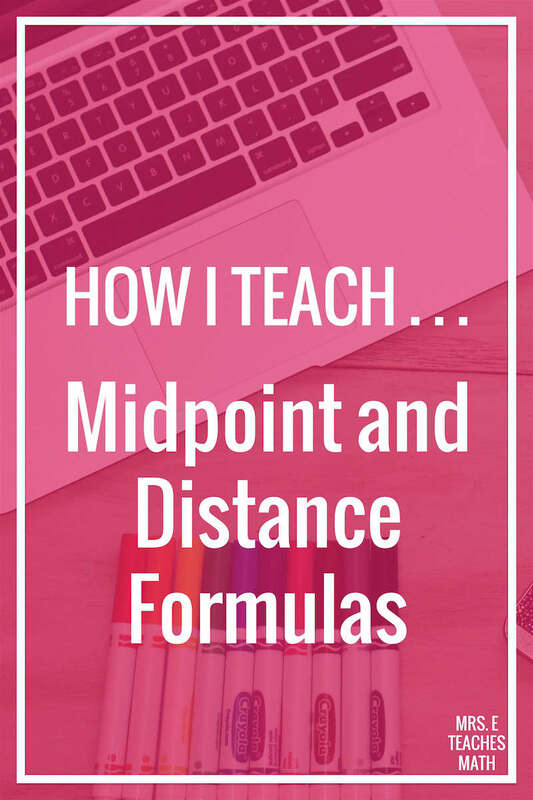 I talk to the kids about the distance formula, we talk about how it could be useful, and where it comes from, etc. 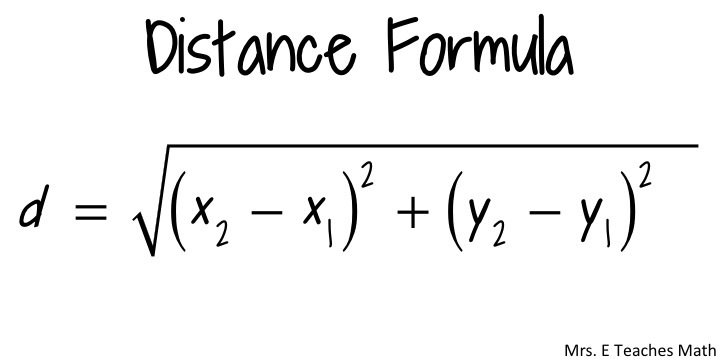 However, I have found that my students always seem to have trouble remembering the actual formula. 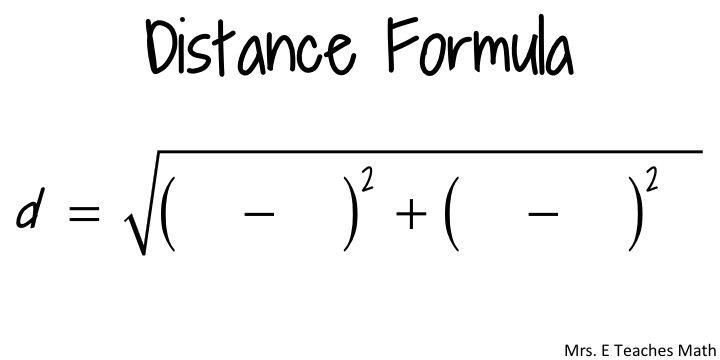 So, the first time I write the formula down I tell them about the "face" of the distance formula. The distance formula has the face of a girl. She has long hair, but she always pulls it to the side. She also has very long eye lashes. These are the pupils in her eyes. And in the alphabet, x comes before y. Then, for each example we work together I have the kids talk me through the face on each problem. It takes me less than 60 seconds to talk about the face, but the kids remember it. 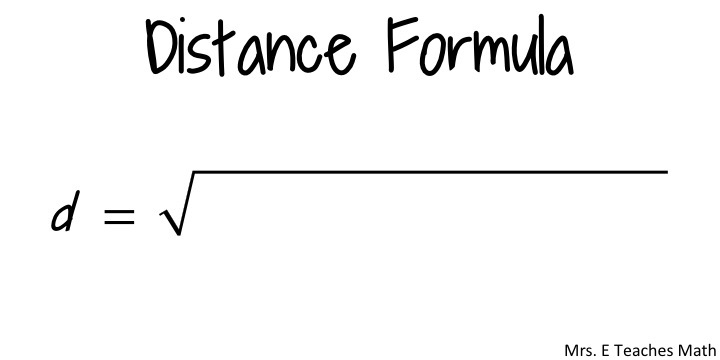 Whenever a student asks for the formula, inevitably someone will say "Remember the face!". I'll chalk that up as a win. I talk to the kids about the formula and the usefulness again. Then, I show them the cheer and I make them stand up and repeat it with me. I found an example on YouTube that you can see below. 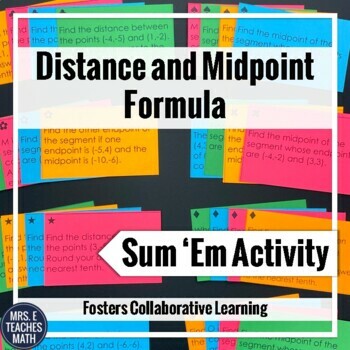 "Midpoint, midpoint, what do you do? Add them together and divide by two!" The kids think these are totally cheesy, but it does seem to help them remember. Also, the cheesiness helps break up an otherwise boring lesson. Bring on the cheese! I taught this lesson on a block day, so I had plenty of time for activities and review after the lesson. 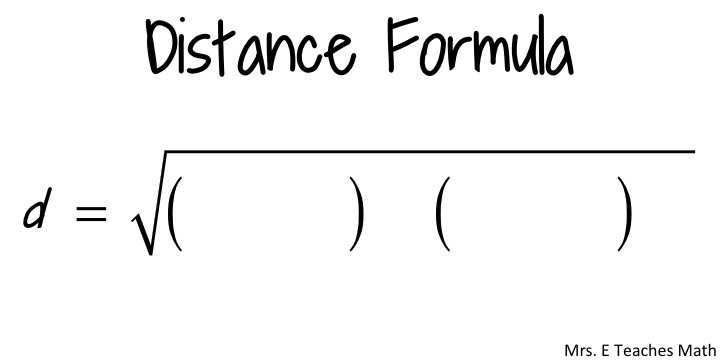 The distance formula always seems to be a little more troubling for students, so I had them complete a Distance Formula Partner Worksheet to practice. 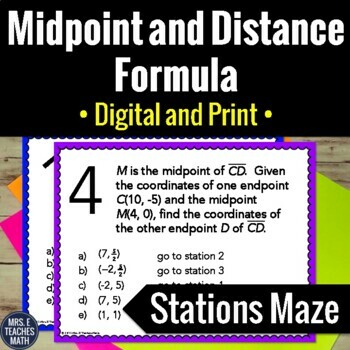 When they were finished, they completed the Midpoint and Distance Formula Stations Maze. This was the first time that I've used a stations maze this year, so I explained the directions very slowly and clearly. I use them all the time, so I won't have to give directions again. My students finished both pretty quick, but I do have honors students. I'm 27 and years out of high school, but this is helpful as I study for the GRE. Thanks! OMG....this is great! 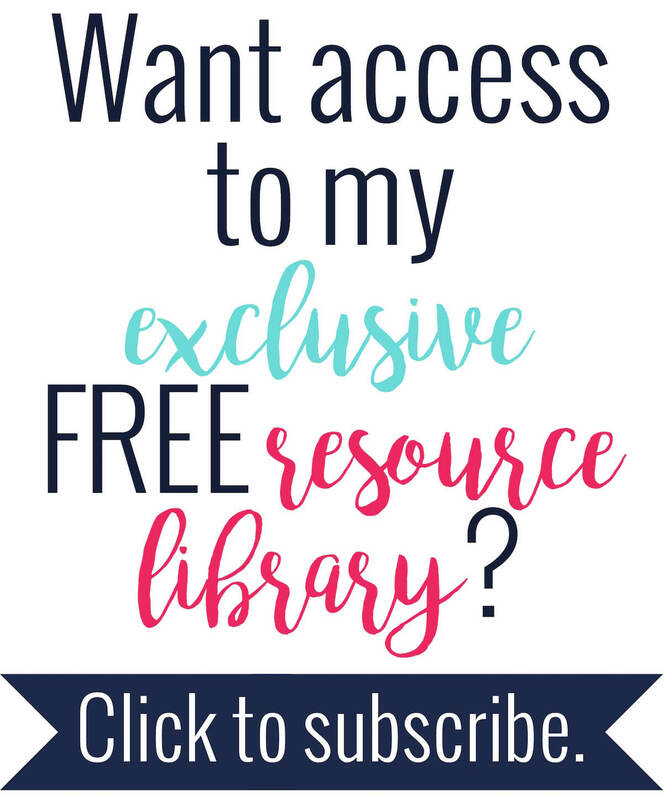 So cute and an easy way to remember! She also has a cute one for the midpoint theorem.